Though it originally aired in the early 1980s as three unconnected Japanese anime television series produced by Tatsunoko Productions, the team at Harmony Gold (led by producer/story editor Carl Macek) adapted the material into Robotech, a syndicated TV series that told a multigenerational saga about humans battling aliens over 85 episodes. Robotech is credited with helping spread anime to an international audience, and it went onto become a worldwide multimedia franchise with novelizations, comic books, video games, and more. In fact, to this day new content is still being created. The initial 36 episodes cover the First Robotech War, also known as The Macross Saga, and were adapted from The Super Dimension Fortress Macross. The story begins in 1999 when an alien spaceship crashes as World War III rages across the planet. However, the fear of intergalactic war unites the nations. The ship (SDF-1), whose alien technology is called "robotech," takes 10 years to rebuild. As the new SDF-1 is about to be launched, the Zentraedi, a race of giant aliens, come looking for it, and destroy everything that gets in their way. Humans and Zentraedi battle over the course of five years, leaving behind a great deal of death and devastation. The next 25 episodes cover the Second Robotech War, also known as The Masters Saga, and were adapted from Super Dimension Cavalry Southern Cross. Fifteen years have passed since the previous war and a new generation of humans, functioning under the Army of the Southern Cross, defends the Earth against the Robotech Masters, who were being served by the Zentraedi. The Masters have come to Earth seeking the Protoculture Matrix, which provides essential elements they need. Aside from the larger plot points, Lt. Dana Sterling is the link to the past. She is the first hybrid child of the first marriage between human (father Max Sterling) and Zentraedi (mother Miriya Parina Sterling). The duration of events take place over the course of a little more than a year. The final 25 episodes cover the Third Robotech War, also known as The New Generation, and were adapted from Genesis Climber MOSPEADA. The New Generation begins with a montage that reveals what has happened over the course of twelve years. Aliens, known as the Inveds, have taken over the Earth and turned it into a wasteland. The Earth has become a slave colony for the purpose of harvesting and processing substance protoculture. Humans fight against the entrenched Invid with the resolution taking place in 2044. Robotech delivers a very engaging story about decades-long interplanetary battles between humans and alien aggressors. The series offered up believable plot twists and realistic consequences to the fighting. Some of the characters could have used a little more depth to them, but overall they were engaging and served their purpose. The animation still holds up in comparison to modern standards. While purists have a reasonable argument to make about the changes and alterations to the original programs, the overwhelming success of the Robotech, as a franchise and as a gateway that led many to other anime, severely blunts much of the criticism. The Complete Series released by A+E Networks has been remastered and augments the bonus material from previous releases with new features, bringing the total bonus content to over 10 hours. Carl Macek's Robotech Universe is an insightful documentary about the making of Robotech. Macek was making the project, but he died. Thankfully, other stepped in to complete it. Also new to DVD are, Robotech Music Videos, Robotech Overview, alternate versions of select Robotech episodes with commentary by Macek, Robotech: The Movie supplementals with several new sequences, the promotional reel of Robotech Launch in China, and Macross Original Pilots including 70-minute extended version. 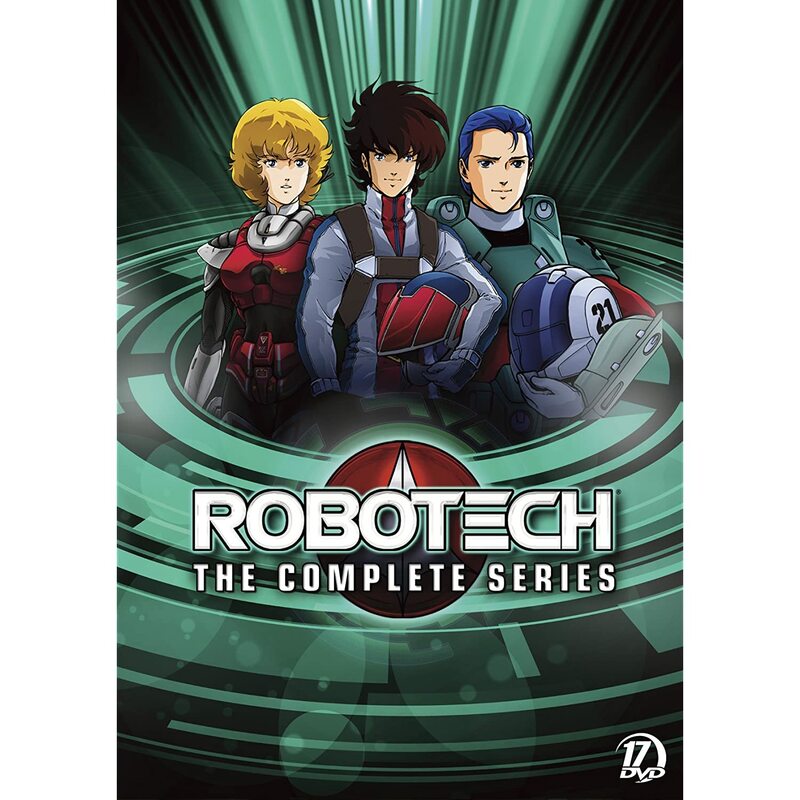 For those new to Robotech or who don't have the show on DVD, I'd recommend The Complete Series. For those unsure, it is also available as three individual Generation Wars sets.